We talk a lot here about how to communicate with toddlers, preschoolers and school-age children to help develop their language skills. However, the building blocks of language start developing right from the earliest days of a child’s life. Children understand language before they can use it, and even though most children are not saying words until at least 12 months, they have begun to understand and develop lots of non-verbal communication skills as well in those early months. For example, babies recognise their own mother’s voice and their native language very soon after birth. They show an interest in faces from the first few months and soon begin to smile, pull faces and use vocalisations to make things happen. It is really important that we talk to babies from the very beginning to help with developing these skills. It may feel a little strange to begin with – after all, it is rather a one-sided conversation to begin with. 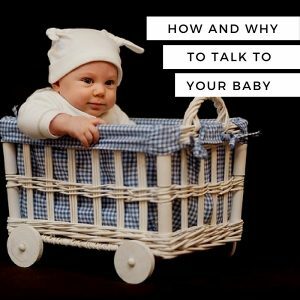 Here are some ideas of how to talk to your baby. Talk about what you are doing. Talk about your routine (“let’s put your coat on”, “it’s bathtime now”, “time for a nap” etc). Also, chat about things you can see (“look, there’s a car”, “oh, it’s starting to rain” etc.) You can also talk about your thoughts to your baby – maybe not all of them! (eg “what shall we do today?” “we must remember to take your bottle” etc). Make eye contact with your baby and keep him/her close to you when you are talking. In the very early days, babies can only see a short distance, so the closer you are to them, the easier they find it to hear and see you. Listen. Pause lots and give your baby time to respond too. You don’t have to talk non-stop! Pause and look at your baby. They may not give much response to start with but they soon will. They might smile or laugh or make a sound – it’s all the start of a conversation. Respond to the sounds your baby makes. They may just be babbling or making grunts and other sounds, but treat their sounds like a conversation. 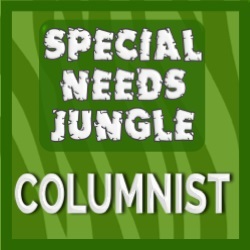 Give meaning to the sounds they are making and respond to them. For example, “what shall we do today?…. shall we go to the shop?…. yes, I think we should go and get some bread”. You can also try repeating back what they say and making sound of your own. Sing rhymes and songs. Don’t worry if you can’t sing – your baby just loves to hear your voice! Action songs are especially good as they help your baby to focus and start to give meaning to the words you say. They are also repetitive, which helps your baby to develop anticipation of what will come next. Pull faces together. This is a great game to play with a baby. Copy your baby’s facial expressions. Get close to their face and poke your tongue out or do a big smile – they may well naturally try to copy. Add some sounds in too – will they copy those? Try pulling faces and making sounds in front of a mirror too – babies love looking at themselves as well as you! Limit dummy use. The general advice is to try not to use a dummy beyond the age of 12 months. Even in the early months make sure your baby doesn’t have their dummy in all the time – they are less likely to make sounds if they have something in their mouth that they have to talk around. This is a topic for another day! Repeat. Do it all again tomorrow. Children need to hear a word lots of times before they learn it and use it. The more often they hear you say names of people and things, the quicker they will start to understand and respond to them. It’s never too early to talk to your baby – you may be surprised at how quickly they respond to you! 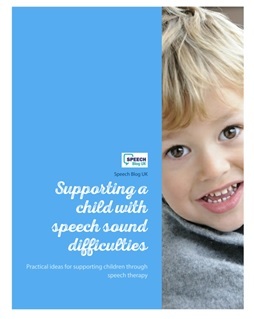 20 stocking fillers for speech and language.